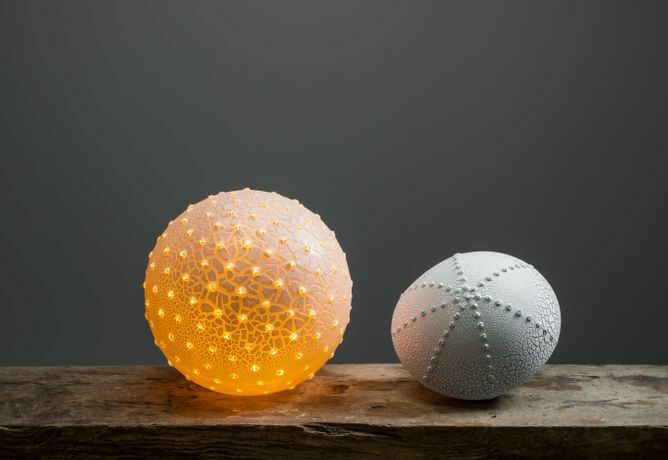 A festive exhibition of beautiful handmade porcelain lights by artist Amy Cooper. Amy's work addresses the fragility and transience of life and the natural world through the transformative properties of light on porcelain. She continues to explore a monochromatic spectrum that is created through the use of textures, variation in thickness and diffusion. The work is slip cast porcelain, each piece individually altered, either through manipulation when plastic or painstakingly masked and sandblasted at bisque. Amy's porcelain range includes table lamps, lampshades and tea-light holders. 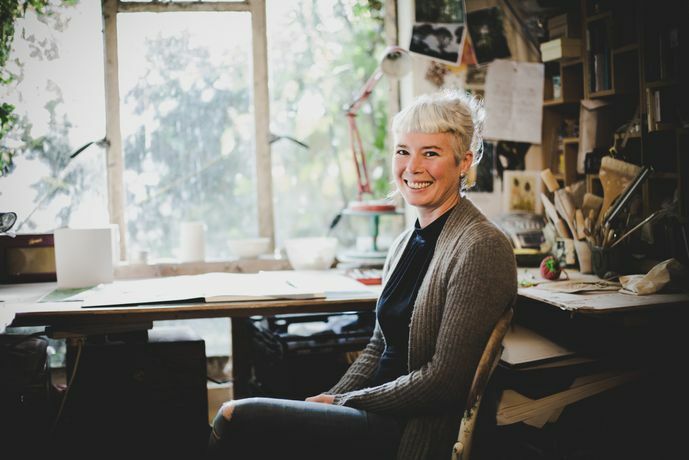 Amy Cooper Ceramics is a Cornwall, UK based company designing and making unique porcelain lighting. Established over 14 years ago we have supplied a number of prestigious retailers including the National Trust, House of Fraser and the V&A shop as well as exhibiting extensively in the UK and overseas. She lives in Cornwall with my husband who is also my business partner and our two children. We work from our studio at home. Amy's work has been exhibited in Germany, Holland, Belgium, Norway and Dubai, as well as extensively throughout the UK.